In 2007, Motorola's strategy seemed to be a "throw it at the wall and see what sticks" approach. 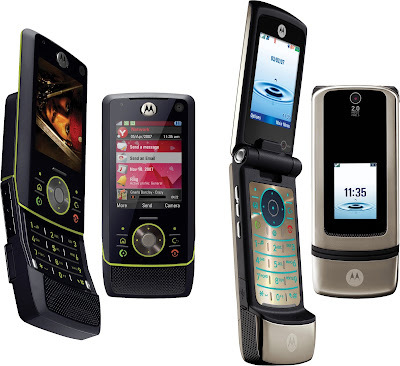 To this end, we saw several very different devices being launched by Motorola ten years ago. The most notable were a range of handsets falling under the Motorola RIZR, KRZR and MOTO Q names. Technically perhaps the most interesting was the Motorola RIZR Z8 (sometimes called the MOTO Z8). A curved slider phone running the Symbian operating system with the UIQ interface, the Z8 was one of those Symbian phones that tried to out-do Nokia on its own turf. It was an unusual device even within Motorola's own line-up, but in fact much of the development of this had come from ex-Sendo staffers from the UK who had been absorbed into Motorola back in 2005. In the end, the Z8 probably didn't get the market push that it deserved but it was an interesting and quirky design in its own right. Rather more predictable was the Motorola KRZR K3 feature phone. Motorola had been pushing the RAZR concept since 2004. Although it had enjoyed success, by 2007 customers were looking for something else. But this didn't stop Motorola trying again.. and the KRZR K3 was in essence a 3G version of the K1 launched in 2006. Although the K1 was probably the ultimate flip phone in terms of hardware design, both these KRZR phones belongs to a previous generation of devices and they could not follow the hugged success of the original RAZR V3. As well as Symbian, Motorola was a leading provider of Windows devices. 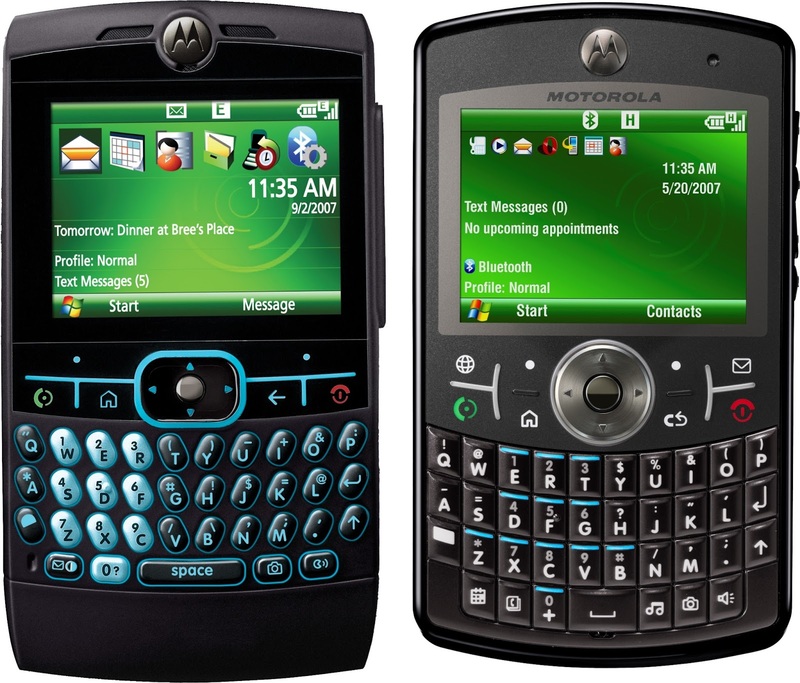 The Motorola MOTO Q8 and Q9 (also called the Q 9h) were BlackBerry-style devices with a physical QWERTY keyboard, lacking a touchscreen. One was a 3.5G device, the other was limited to EDGE. 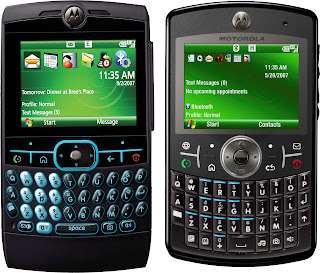 These devices continued the tradition of the modestly success MOTO Q series of smartphones, but ultimately physical keyboards were on the way out. Despite these efforts, Motorola started to go into sharp decline, and in a few years the iPhone and Android devices led to a collapse in sales that nearly took out the company. Motorola wasn't the first company that misjudged the future and it certainly wasn't the last either.